Important Clean Air Act (CAA) elements direct the US Environmental Protection Agency (EPA) to reduce emissions of hazardous air pollutants (HAPs). Unlike the conventional pollutants associated with regional problems such as smog or acid rain, HAPs represent a list of 187 specific air toxics that can be harmful in low concentrations in much smaller areas. HAPs are subject to tighter controls and lower permitting thresholds. HAPs are also the objects of a number of specialized CAA programs. EPA’s “Urban Air Toxics” program is one, established to fulfill duties created by the 1990 CAA Amendments. Section 112(k) directs EPA to analyze HAP emissions in urban areas, identify emissions that pose the greatest public health risks, and establish regulatory and other requirements to reduce those risks. More specifically, EPA must achieve a “substantial reduction” in these emissions and the associated “public health risks,” including a reduction of at least 75 percent in cancers attributable to emissions from such sources. 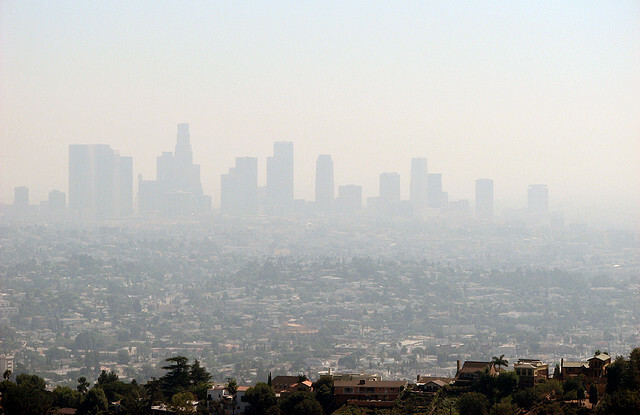 What is EPA’s Urban Air Toxics Strategy? EPA published its Integrated Urban Air Toxics Strategy in 1999, identifying HAPs it judged to present the highest threat to public health in urban areas. The Strategy focuses primarily on what CAA defines as “area sources” – individual sources too small to qualify under the Act as “major sources.” The strategy identifies 33 “Urban HAPs” extracted from the CAA’s list – they consist of the 30 that EPA calculates produce the greatest public health risks from area sources (including benzene and formaldehyde), plus three more with non-area source emissions in urban areas that EPA calculates produce particularly high risks (i.e., coke oven emissions, 1,2-dibromoethane and carbon tetrachloride). Source-specific and sector-based standards- to include maximum available control technology (MACT; the standards typically applicable to new major sources of HAP emissions), generally available control technology (GACT; standards typically applicable to new area sources), possible residual risk standards, and standards for mobile sources of HAPs. National, regional, and community-based initiatives to focus on air and other environmental media, and cumulative risks - to include other studies and initiatives required by CAA and other laws assigned to EPA. National air toxics assessments - source monitoring and inventories, modeling of emissions, exposures, and effects. 66 % reduction in benzene emissions. Nearly 60 % reduction in mercury from man-made sources. 84 % decrease of lead in outdoor air. Removal of 1.5 million tons per year of air toxics from stationary sources (plus 3 million tons per year of criteria pollutants as a co-benefit of air toxics reductions). Removal of 1.5 million tons per year of air toxics from mobile sources (a 50 % reduction in mobile source air toxics emissions). Does my organization emit HAPs from urban locations? Do emissions include any of the 33 HAPs identified in EPA’s Urban Air Toxics Strategy? Are emissions from any of the 68 source categories identified in EPA’s Urban Air Toxics Strategy? Do my organization’s urban locations comply with applicable CAA requirements, including permitting and other EPA/state/local requirements?